Toronto’s Mayor Rob Ford has made global headlines since the police announced they have a video of him smoking “what appears to be a crack pipe”, and the Mayor himself later admitting to smoking crack cocaine. There’s a few lessons we can take away from the Mayor’s public struggles. Although his actions are the main problem, his struggles are made worse by how he handles situations when confronted with the issues. 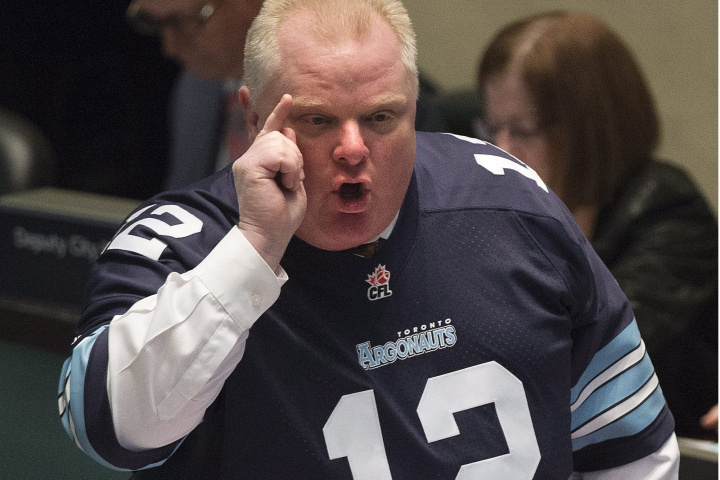 When asked if he smoked crack, Rob Ford replied, that yes he had, “probably in one of my drunken stupors.” #inoneofmydrunkenstupors was trending on Twitter for days. The line was repeated on every news broadcast and comedy show. His choice of words compounded the issue. Now he was saying that not only does he smoke crack, but that he also has ‘drunken stupors’. In a workplace, be careful how you say things. Taking greater care of how a message is delivered can have a huge effect on how others react to it. With that choice of words he would not only owned up to his mistakes, but he would also have apologized, and detailed an action plan for ensuring that it would not be repeated. That is what people want to hear. Sometimes we all make mistakes at work and they don’t have to be career-ending – I’m not talking about mistakes as severe as Mayor Ford’s or mistakes that break the law. The key is to learn from mistakes, be up front in taking responsibility for the things we get wrong, and implementing changes to ensure that the same mistakes aren’t made twice.